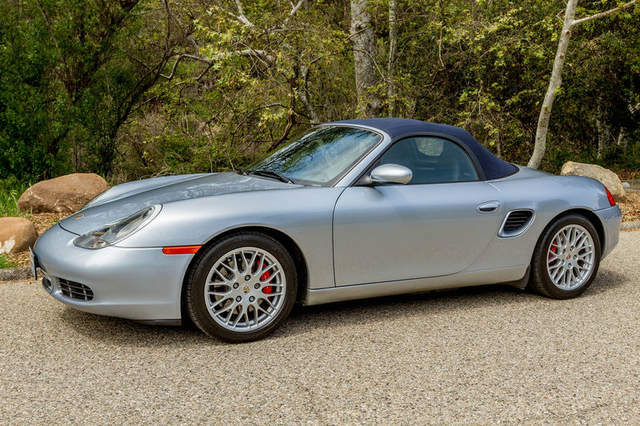 Rare and beautiful Polar Silver Boxster S with Blue top and interior with black trim, six-speed manual. 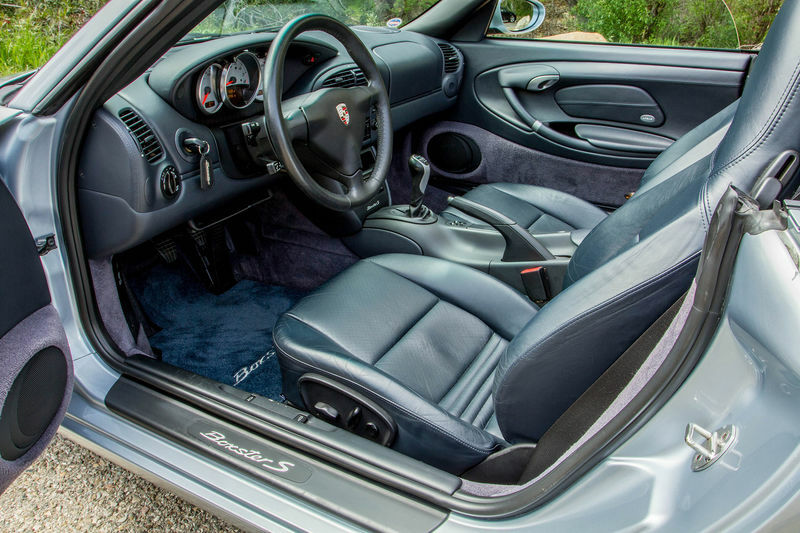 Extra clean PCA Concours winning car, Lloyd's Mats, New clutch and LN Engineering IMS at 42k miles (just to be safe), New Tires, water pump, belt, spark plugs & tube seals, service records are current. We've had the car for about 2-1/2 yrs and wish there was more time to enjoy the car. In that time we have done all the updating someone would want to and only put about 6k miles ourselves. 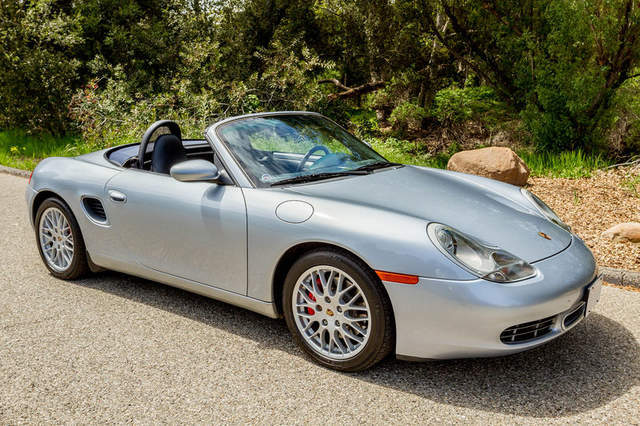 This Porsche Boxster S is in excellent condition. It would be hard to find another one in this condition. We are the second owner, it was originally purchased locally. Clean CarFax. Well cared for garaged California car. Very Fun Porsche to Drive. Only 48,330 miles at time of ad.